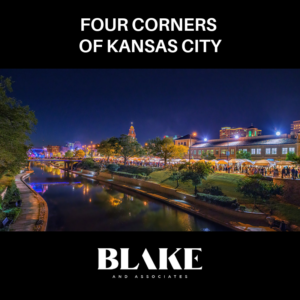 You are here: Home / Buying a Home / Relocating to Kansas City? Let me show you around! Congratulations! You’ve decided to move to Kansas City and you’re ready to look at homes. Buying a home when you live out of state can be so much more stressful than moving within the city, but we’ve got this down. In the last three months, we’ve worked with dozens of out-of-town buyers and have a 100% success rate in getting their offers accepted. How do we help you, and perhaps a family, find the right home, the right school district, and the right neighborhood so you don’t have to spend time in a rental home or move twice? Let’s get this out of the way first. If you’ve never been here, you’ll be thinking Kansas and Missouri are fly-over states with nothing worth seeing. Every out-of-town buyer I’ve worked with has been delighted when they find out that we’re really a gem of a place to live. The start-up community is fueled by organizations like Think Big Coworking, WeWork, Google Fiber and 1 Million Cups that have had a major impact in Kansas City’s growth over the last decade. We are also proud to headquarter global brands like H&R Block, Cerner, DST and, my personal favorite, Hallmark! We’re known for our BBQ but you deserve to know that our food scene is so much more diverse than that. No matter what your favorite cuisine is, I’ll seek it out and dine with you. We’ve got breweries, distilleries and coffee roasters galore, so there is definitely something for your palate. If you’re planning to visit KC to look at homes, try and have your visit coincide with First Fridays when the entire Crossroads district turns into a street festival. This takes place on the first Friday of every single month. Rain or shine. If you want to know my favorite things to do at First Friday, you’ve got to let me show you a home first! Kansas City is centrally located with direct flights to more than 50 cities in the US. Once you get here, you’ll never need to worry about traffic like our friends in Chicago, New York or LA! If you’re moving here with a family, we have tremendous public and private school options too. I may be an expert when it comes to Kansas City Real Estate, but I may not be the guy to tell you the latest sports news. That said, I am mighty proud of our Kansas City Royals, the Chiefs, and Sporting KC. If baseball, football or soccer sound like the perfect way to spend the weekend, we’ve got you covered too. What Does A Home In Kansas City Cost? When it comes to your budget, you’ll be pleased to know we really do have something for everyone. The KC real estate market may be hot, but it’s also one of the most accessible markets in the country with the average cost of a home being in the $220k range. Don’t worry though, if you’re looking for a little luxury, we have plenty of new-builds and dream-homes for you to choose from. Shoot me an email or text me at (913) 406-1406 and we can start brainstorming which neighborhood is best for your lifestyle. 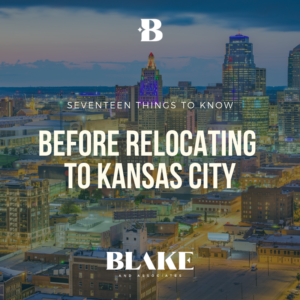 In recent months we have worked with buyers relocating to Kansas City from Florida, North Carolina, California, Colorado, and Alabama. Many of these buyers are looking to move after being offered a job in KC, and we know how to get it done when time is of the essence. I know that if you’ve just flown out here and had nothing but airline snacks to eat all day, you’re not going to be focused on houses which is why you’ll land to find a Kansas City Gift Basket waiting for you in your hotel room. You’ll get to enjoy some of my locally made goodies, stay hydrated without paying hotel-rates for water bottles, stay connected with the car chargers, and snack on locally made chocolates. If you need to bring kids along for the day too, let me know because I’d love to share my favorite games and puzzles! Once you’re settled and rested, we hit the road and I am your guide. You tell me if you want to bring a friend or family member. I’ll make sure you have a grasp of the geography and nuances of each neighborhood, and by the time we’re done, you’ll understand exactly when you’re in Kansas and when you’re in Missouri! 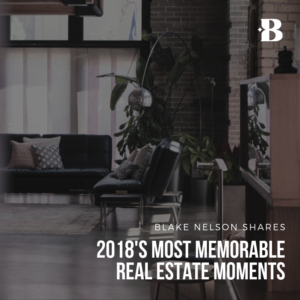 Having worked in the Kansas City Real Estate marketing for over 15 years, I have a relationship with almost every agent in the city. When it comes to negotiating your offer once you’ve flown back home, my relationships and reputation can (and has!) close the deal. I’m not going just going to find you your dream home. I’m going to expose you to the beautiful life you can have once you start calling Kansas City home. Let’s go see Kansas City!